Chronic diseases are an increasing global challenge. However, a change in trend has been observed where individuals are now opting for healthier lifestyles to improve overall well-being. The first step to a healthier lifestyle is dietary changes. Individuals aiming to improve their health should consume a balanced diet while strictly monitoring their caloric intake. Detoxifying the body and maintaining the ideal weight is equally essential. Moreover, some seemingly minor changes can also improve mental health and brain function. 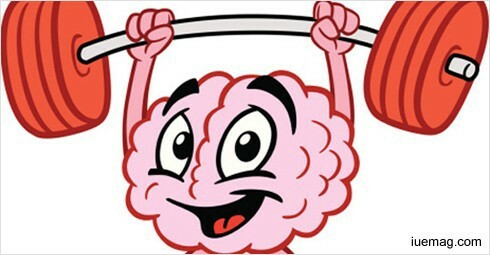 Not a lot of focus is drawn on how a balanced diet can help improve memory and general brain function. An unbalanced diet – a diet high in sugar intake or fattening food items –can play an integral role in the development of dementia, particularly Alzheimer's disease. On the other hand, foods containing antioxidants, fats, minerals and vitamins are sources of energy and help battle brain diseases. A balanced diet can also help prevent neuronal degeneration - thereby preventing certain degenerative diseases. Moreover, when our minds are stressed, they tend to release inflammatory cytokines. The nutrients in our diet can combat cytokines by stimulating our immune system. Likewise, certain foods can also prevent disruptions in the circadian rhythm whereas others jog up the mind to prevent memory loss and depression. Following are some of the best foods that you should add to your diet to boost your brain health. Avocado is just about the healthiest fruit you can eat. It is true that avocados have a high fat content. However, the fat content in avocados is monosaturated which is essentially good for your body and helps maintain blood sugar levels and keeps skin healthy. Avocados contain both Vitamin K and folate which help prevent blood clots in the brain and also aid in improving brain function such as memory and concentration. They also happen to be rich in Vitamins B and C along with that they also have the highest protein and lowest sugar content in contrast to other foods. Most people don’t enjoy eating beets, even if they love vegetables. However, this needs to change since beets have anti-inflammatory and antioxidant properties. Regular consumption of beets can protect your brain and prevent cancer. They also help in cleansing your bloodstream of harmful toxins and increase blood flow to the brain, thereby increasing cognitive function. Not only do blueberries taste great, but they are also super healthy for you. Blueberries have some of the highest antioxidant levels and contain an abundance of Vitamin C, Vitamin K and fibre. They have high levels of Gallic acid which helps to protect our brain from degeneration and stress. We all remember our mothers forcing us to eat this vegetable at dinner and how much we hated it. It turns out that our mothers were right since it is one of the healthiest brain foods available. It has high levels of Vitamin K and Choline which helps to keep your brain functions active. It is also full of Vitamin C and has high fibre content for a healthy gut. Celery not only has a low-calorie count, but comes with a ton of other health benefits. It has high levels of antioxidants and polysaccharides which have potent anti-inflammatory properties and help reduce the symptoms of inflammation. It also contains lots of Vitamins, minerals and other nutrients. It is important not to skip the leaves and seeds while eating celery since those parts have lots of health benefits. Coconut oil has a diverse range of health benefits so it can help you with just about anything. An improved overall agility is one of its many benefits. For your brain, it is a natural anti-inflammatory substance which suppresses inflammation. It helps fight memory loss with progressing age and also kills harmful bacteria in your gut. Egg yolks are said to have high cholesterol content because of which they are avoided by health conscious individuals. However, research shows that dietary cholesterol is different from blood cholesterol which causes cardiovascular problems. Thus, the cholesterol found in egg yolks is good for your body. Moreover, egg yolks contain a large amount of choline which helps in fetal brain development in pregnant women. It is good to consume egg whites too since they are an excellent and inexpensive protein source. The extra virgin olive oil contains potent antioxidants called polyphenols which not only help to improve learning and memory, but may also help to reverse age-related cognitive changes. It also helps to reduce ADDLs, toxic proteins in the brain that lead to Alzheimer's disease. Green tea contains a good amount of antioxidants that help improve brain function. It has been proven to improve memory and counter Down’s Syndrome along with other diseases. It also believed, the more pure the tea, the greater its health benefits. While certain foods aid in mental wellness and work to promote cognitive function, other foods are extremely detrimental to our brains. We do our best to maintain the physical and mental sanctity of our bodies, but often, due to lack of knowledge or awareness, end up eating foods that negatively impact the development of our brains. Such foods may affect our mind's alertness, our ability to remember and store thoughts, and our moods in general. Thus, affecting the nervous system overall. Moreover, they may also lead to neuronal degeneration, thereby fastening the process of contracting diseases that pertain to one's brain. The intake of sugar has long been associated with depression. In 2015, a study was conducted on post-menopausal women, which indicates that an increase in added sugars consumed is directly proportional to an increase in depression. A study by researchers published in the journal Diabetologia showed that regular sugar intake leads to the working of the brain at a suboptimal level, depressing mental function. Though caffeine does not have a negative impact on brain function, psychologists suggest avoiding regular intake to minimize the onset of panic attacks or episodes of anxiety. Salt aids in the regulation and transmission of nerve impulses and the transport of water in and out of cells. If salt intake is high, it could lead to hypertonic cellular activation thereby dysfunctioning the fluid balance and nerve transmission in the body as a protective measure. High-sodium diets have been associated with poor vascular health, as found by a 2011 study published in Neurobiology of Agin. Any facts, figures or references stated here are made by the author & don't reflect the endorsement of iU at all times unless otherwise drafted by official staff at iU. This article was first published here on 22nd March 2017. Audrey Throne is a mother and a professional blogger by choice.